Social Media sites especially facebook is one of my favorite sites that increase the traffic count to my blog. I really enjoy investing my time to share blog posts in facebook groups, facebook page and on my wall too because it help me to connect with my targeted audience. During writing the posts, we use to highlight some text to grab readers’ attention. This thing not only make our blog posts attractive but also increase the readability. Then why not to apply the same strategy while sharing posts on Google plus. Bold: Use asterisks sign (*) around the text to bold it. Bold your targeted keyword there. It’ll help you to grab viewer’s attention easily. Italics: Use underscores (_) around the words and italicize them easily to add more style. Strikeout: Suppose you are offering a product or discount coupon code, you can easily run a line through old offer (like: 20% 30% discount) by putting hypens (-) around that word or sentence to highlight new offers. Bullets: Bullets add more value to our content. We can also make use of bullets in our Google plus posts. Hit your space bar, enter a hypen, and then hit your space bar again. It’ll work as bullets and you can use it to add lists to your post. Sharing blog post URLs is the most common way to promote blog posts or to market the content. We have to do something unique and creative to attract more readers. While sharing your new posts on Google Plus, don’t just share some text and link. Use below pattern to increase viewer’s engagement. Put a Heading first and apply some formatting to it. Better to go with Bold. Add some text of two lines that better explain the post and generate curiosity to the audience to read what you have written. Give one line break and then place your blog post link. Now attach a high quality and attention grabbing image with your post. It’ll surely help you to target wider audience. We simply can’t get the goals by targeting the wrong audience. You must be knowing who and where your targeted audience is. Google plus allows us to create different circles. So, the strategy is, create one circle and add your targeted audience in that particular circle. Suppose you are writing about ON-Page SEO Techniques, then don’t share it with your family. By doing so, you can’t hit the goals. Better to share it with your targeted audience. Mostly people share their posts with Public and Your Circles. I’m surprised why they don’t create more circles to target their blog audience. Build relationships with others having interest in your niche. Add all of them into a specific circle and share your posts with them. I have created a circle named Blogger Tips Tricks and I always choose that circle to target my right audience. Why not to use “Send Email” feature to get more attention of the readers. When you are ready to hit share button, put a tick on “Send Email” check box. It will send an email to the people regarding the update and if your post will be of their interest then surely you’ll get good number of clicks. If you are a member of communities on G+, then you can post into those communities directly from your profile, from within the communities itself and by using “Share” button at the bottom of your posts as well. Click on the share button below your posts and then select the communities in which you want to promote your blog posts. In this way, you can save a lot of your precious time that you can use to market your content on other places as well. Use Hashtags in your G+ Posts. 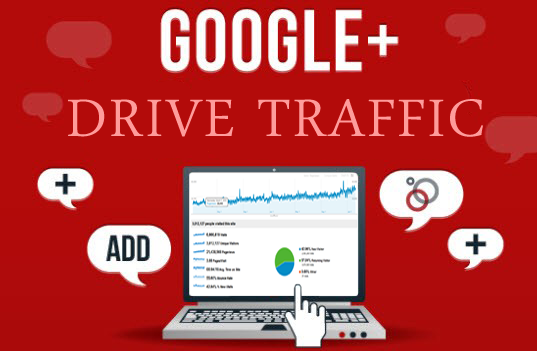 It will not only help you in targeting the wider audience but your Google Plus followers will also increase with time. Any question, please comment bellow.